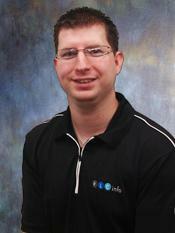 We are proud to welcome Bruce Fitzgerald as an Operation Coordinator for our company ! With a diploma in Technology of Computer Science, Technical and Networking and 8 years of experience in the IT Industry , Bruce has already proven to be a very valuable addition to our team . He will be responsible for inside sales and purchasing for PLC Info.